Stephen Morris has been a licensed realtor since 1986. He began with commercial and residential sales in Victoria, and later achieved F.R.I, R.I. (BC) and Agent 9.15 designations in 1989, upon completion of the Urban Land Economics program from U.B.C., specializing in appraisal. In 1990 he relocated to Park Georgia Realty Ltd. in Vancouver with numerous projects. Stephen is a consistent "Top 10" producer at Park Georgia Realty Ltd., with earned membership with the Vancouver Real Estate Board Presidential Club (top 1% of members in the Lower Mainland) and continued Medallion Club membership. He has been noted in "Western Living", the "Vancouver Sun" and "Wallpaper" magazine as a Vancouver real estate specialist and as a "mover and a shaker". Most recently, Stephen placed SILVER in the 12th annual West Ender Best of the City Readership Poll as the Best Realtor in all of Vancouver! Your partners in Real Estate, we are the best source for up to date Market information and advice on Selling or Buying a home. Combined experience of 30+ years and International Real Estate practice. With our Premier Mortgage partners we can also help you find the best solution for transitioning homes. Call today to see how we can offer you more than any other REALTOR. Please visit us at www.theashtonbrand.com and like us on Facebook! 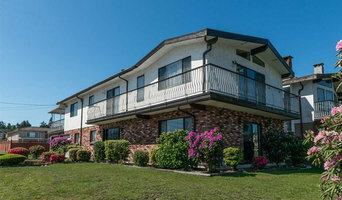 A team of highly skilled very versatile and extremely savvy agents focused on hooking up our unique clients with everything and anything to do with real estate. We are theMACNABs we are SPECIAL AGENTS! Henrietta has been helping people buy and sell Real Estate in the Vancouver West area since 2011. Prior to becoming a top Vancouver REALTOR®, Henrietta was a successful financial consultant. Henrietta’s diverse cultural and linguistic background, along with her successful career in finance, has given her unique insights and a great skill set to deal with both buyers and sellers in our dynamic real estate market. Fluent in English, Cantonese and Mandarin, perhaps Henrietta’s greatest skill is her natural approachability and empathy. She’s known for her million-dollar smile! This, paired with her superb negotiating and marketing skills, has made Henrietta a top producer at Sutton Group West Coast Realty and one of Vancouver’s top REALTORS®. I have been in the business since 2003 and have sold over 600 homes. For me it is about creating an ease in the process of buying and/or selling a home. 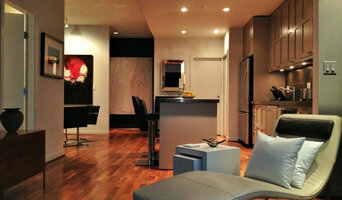 West Coast Modern Realtors Ⓡ In a world of generic culture and mass produced homes, West Coast Modern is like no other. You never know what might be found behind a unassuming hedge or atop a ocean side cliff. We open the door to the most incredible and rare design led homes you otherwise may never hear about. We believe there are enough real estate agents that offer main street properties but not enough that authentically know the world of architect-designed homes. We don’t do cookie-cutter subdivisions or imitation chateaus. When you come to West Coast Modern you gain access to the fine art of modern architecture. To navigate the dynamic Vancouver real estate market, you need up-to-the minute information, quality real estate search tools, cutting edge technology and a REALTOR® well versed in your neighbourhood. With industry leading client service, innovative marketing programs, proven negotiation tactics and a wealth of experience, I can be your guide to a successful real estate transaction. If you would like to chat about the local market, give me a call. 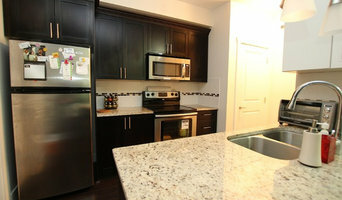 I have also have years of experiences in renovating condos, townhomes and houses - both personally and professionally. Take a look at my Projects to see some of my previous listings. 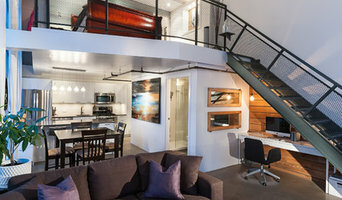 High energy real estate team with a focus on design and unique properties. We have a passion for all things moderist including mid-century homes. Award winning Real Estate sales & marketing professional. Helping Buyers and Seller with their real estate needs since 1988. Real Estate is the best investment you can make for yourself. Purchasing a home is one of the most exciting and validating experiences in our lives. Sharing in the excitement and being an integral part of the process is truly why I love my job and find endless energy in working for my clients. If I can preserve this positive experience, and the integrity of your investment, I’ll consider myself a success in my career. My business relies on referrals and the positive word-of-mouth from past clients. The trust of my clients and their happiness is the best compliment I can receive. When your ready to see a listing or inquiring about what your homes worth with todays market, please do not hesitate to contact me. A successful home purchase or sale nearly always starts with a good agent or broker. Real estate is a complex and continually changing business, and Delta agents and brokers are trained and educated in its many rules, regulations and standards. They have the inside scoop on different Delta, BC neighborhoods and areas and know what constitutes a fair price in the market. Hiring a pro in Delta, BC also means you won’t have to deal directly with the prospective buyers or sellers, which may save you some tension.